I am on holiday with the family in Vancouver BC; one of the most beautiful cities on earth. In between going for hikes in the mountains, visiting with family, eating fabulous fresh corn on the cob, peaches, cherries and anything my brother-in-law cooks (we’re talking seriously good food here), I have been slowly working through the gigantic pile of knitting I brought with me. I took some time away from sweater knitting to make a gift. 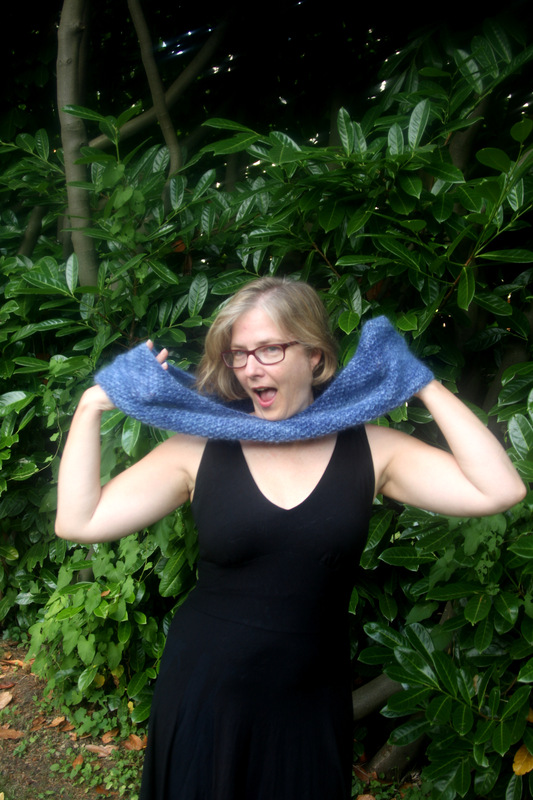 Yesterday was my sister-in-law Vivian’s birthday, so I knit her a soft-as-a-cloud blue cowl. This is knit with three skeins of Rowan Kidsilk Haze held together. I used a US size 11 circular needle, cast on 151 stitches, joined in the round, and knit in seed stitch for 9 inches and then bound off. It is amazingly light, and soft and cozy; even wearing it on a hot summer day I didn’t want to take it off. 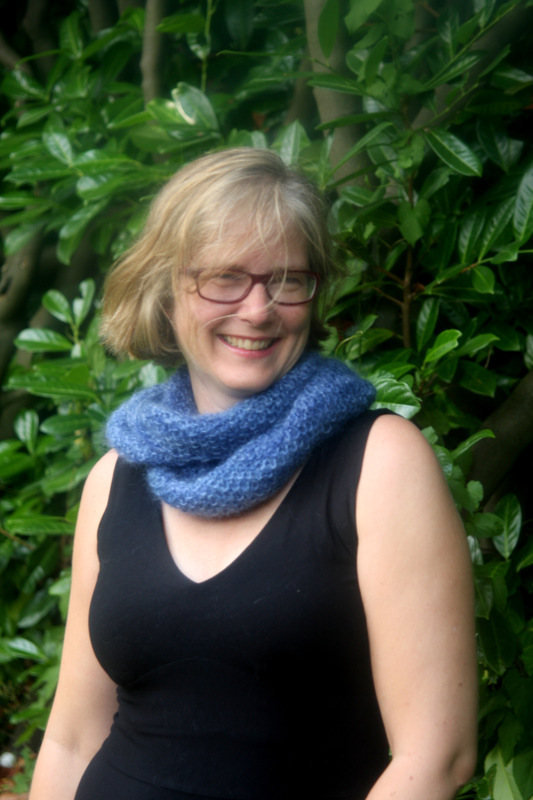 When I first had the idea to knit a cowl for Viv for her birthday, I cast on with a super bulky yarn by Colinette; I posted about it here. Though I loved the colours in the Colinette the fabric it produced was very stiff and bulky. It really didn’t work for a cowl. When I tried it on, it looked like I had a giant blue poodle wrapped around my neck. So, just before leaving for the airport, I grabbed a pile of lovely Kidsilk Haze so that I could try again. It worked so well I think I will make more of these, many more of these, perhaps one in every colour….. 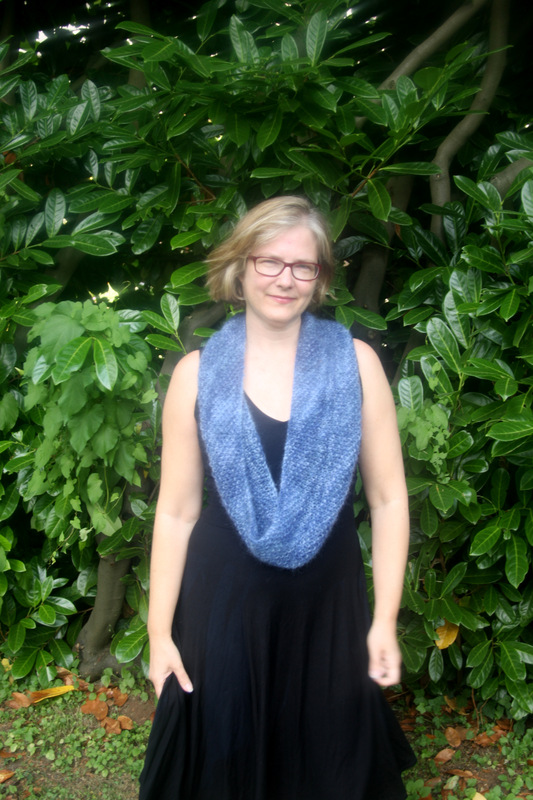 This entry was posted in Finished Project and tagged cowl, Knitting, Rowan Kidsilk Haze by knitigatingcircumstances. Bookmark the permalink.